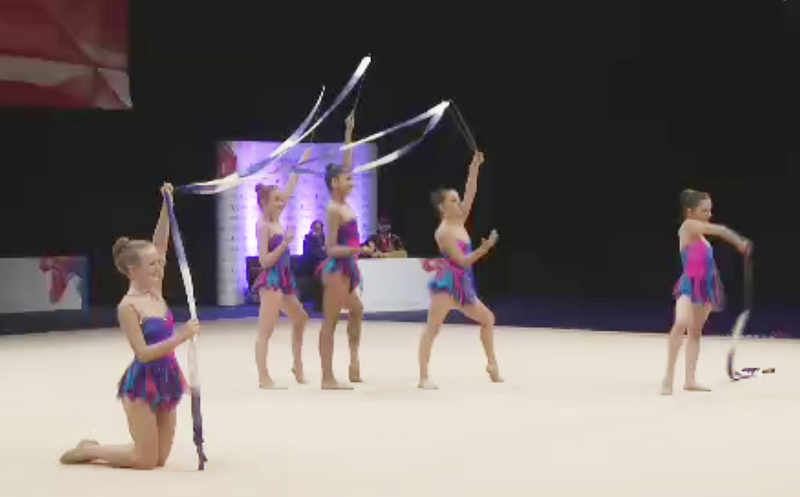 A successful weekend for the City of Birmingham Gymnastics Club Rhythmic girls who competed at the British Championships which were held at the Echo Arena, Liverpool, 30th July- 2nd August. City of Birmingham teams were entered in four championship categories, all of whom medalled with a tally of three gold, nine silver and two bronze. 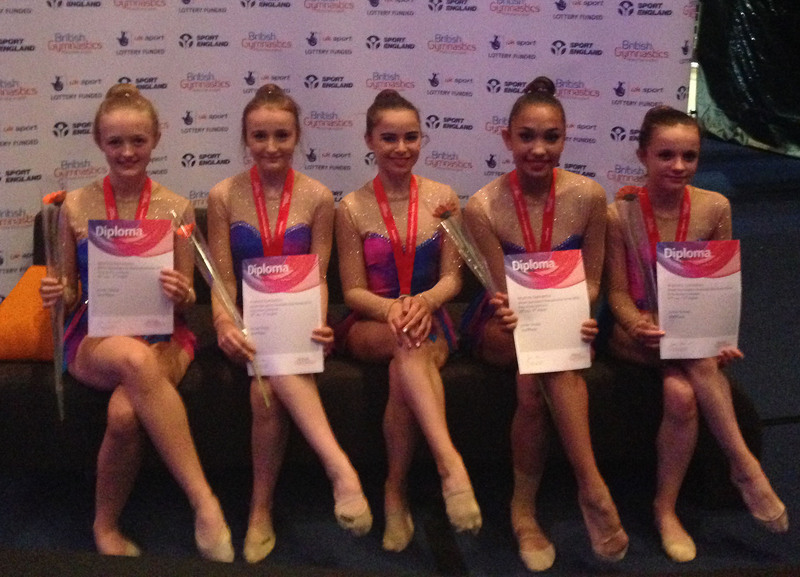 The Senior Group of Connie Allen, Mimi Cesar, Shania Farrell, Sharna Healy and Jessica Watson became joint all-around British championship gold medalists; British champions on combined hoop & Ribbon as well as British championship Individual apparatus silver medalists on Ribbon. 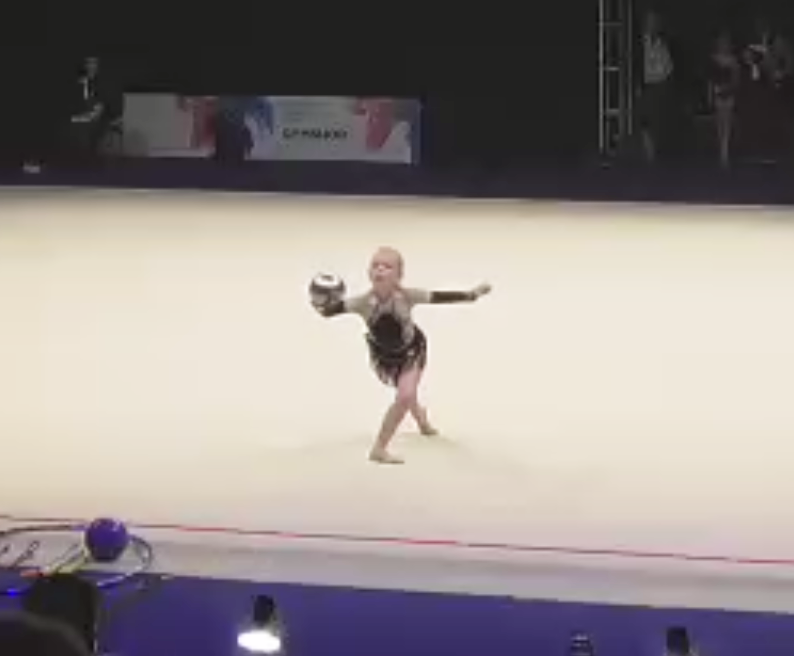 In the Under 12’s All-around championships Daisy Burke became British Championship silver medalist as well as silver medalist on Clubs, Free and Rope in the individual apparatus event. 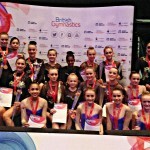 In the Espoirs Group Championship category the team of Daisy Burke, Camone Gordon, Victoria Lopez and Alarna Turton became individual apparatus British championship silver medalists on Ribbon. 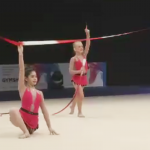 In the U.9’S Sharni Moran-Simmonds captured the bronze medal position in the all-around championships and also gained a bronze in the individual apparatus for her Rope routine. In the Junior Group category two City of Birmingham teams were entered, ‘Thorns – Nicole Allen, Louise Greenfield, Natasha Hodson, Ailis McGuiness, Lauren Moult’ and ‘Roses – Jess Bateman, Sophe Debear, Emily Hawkins, Asha Hamidur and Victoria Williams’ who dramatically tied for overall Silver medal position. 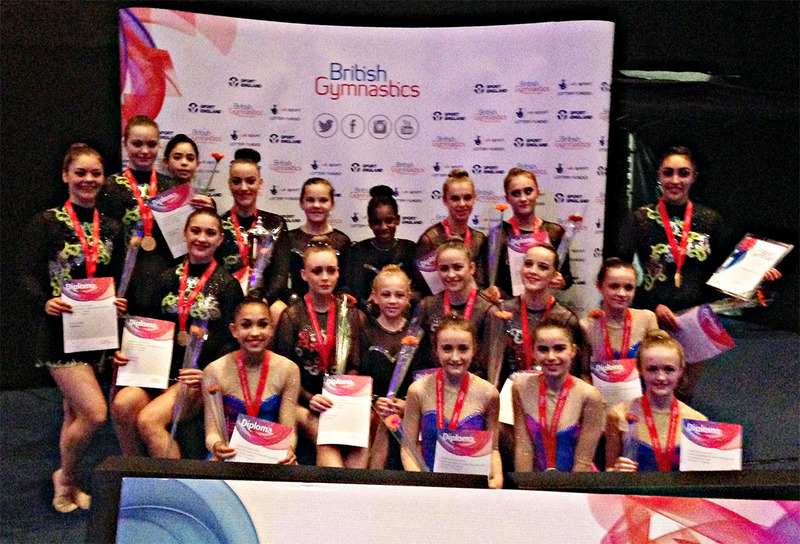 Thorns took the British championship gold medalists title in the individual apparatus for Ball and Roses the silver medal for Ribbon. Well done to all of the coaches and girls that competed; a credit to the City of Birmingham.